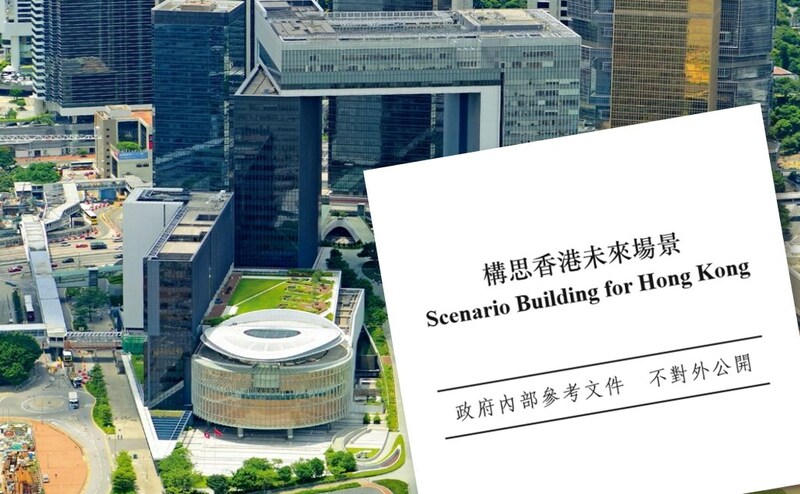 HKFP acquired the Central Policy Unit’s 226-page report in Chinese, entitled Scenario Building for Hong Kong. Its cover stated that it was for internal reference and was not be made public. Preliminary work began in 2014 and the document was completed on May 10 this year, during the last administration. 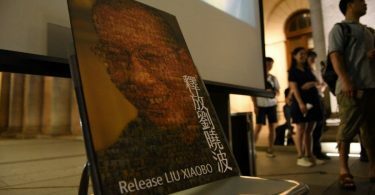 The report aimed at providing possible scenarios for the next 25 to 30 years, but noted that it did not intend to examine the matter of 2047 – the year in which Beijing’s promise not to implement socialism in Hong Kong is set to end. Photo: Central Policy Unit screenshot. 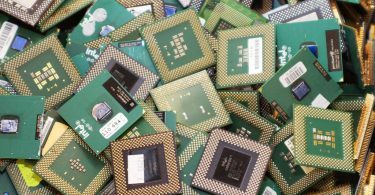 It referenced companies such as the the Rand Corporation and Shell, and territories including New York, Japan, New Zealand and Singapore who have also used hypothetical scenarios in planning for the future. In a section reviewing Hong Kong’s future, it suggested that – in 30 years – a new generation attached to “universal values” and detached from any Chinese identity will become mainstream, triggering more confrontation in society. 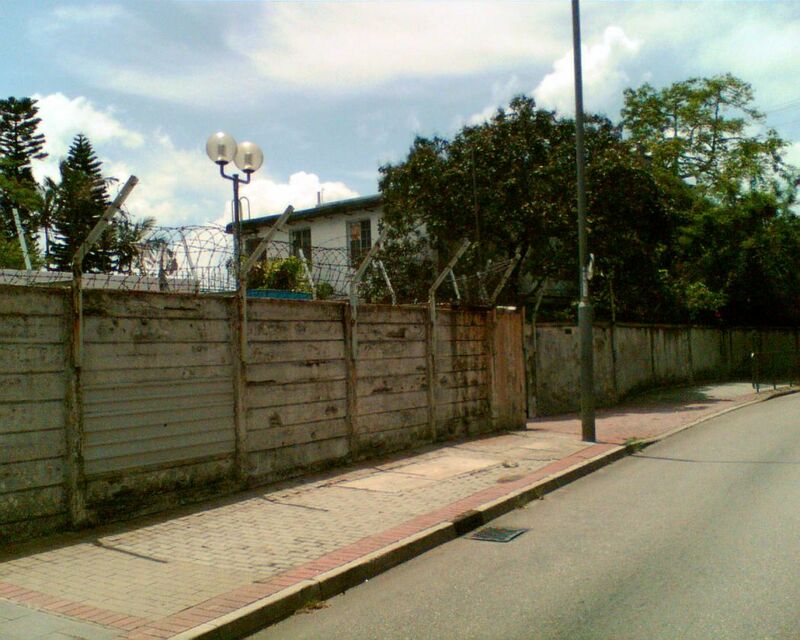 It also said governance could still be blocked by the opposition camp, and the government’s lack of power to monitor and deter opposition will harm the city’s development. “This is an indispensable means of governance that any government would need,” it read, adding that the government used the Special Branch of the police to perform such roles during the British colonial era. “However the Special Branch no longer exists after the handover – [the government] could consider rebuilding a department of this nature in accordance with the current situation,” it said. Responding to questions from reporters over the document, Chief Executive Carrie Lam said on Tuesday that she had not particularly noticed the existence of such a document, and there was no plan to set up a new Special Branch. The “white house,” officially the Mount Davis Concentration Camp, which was used by the Police Special Branch to incarcerate political prisoners during the 1967 riots. Photo: Wikimedia Commons. Another suggestion included in the paper was that of a “delegated legislation” system. With the legislature’s agreement, the administrative branch could implement laws with executive orders within a certain time and range – they would be reviewed again by the legislature after the designated time ends. “This involves amendments to the Basic Law, [we] expect it could only be implemented when the relationship between the central government and Hong Kong has improved, or the governance of Hong Kong has deteriorated to the extent the public cannot tolerate it,” it read. In terms of Hong Kong’s relationship with China, the report gave three possible future scenarios. The first scenario is that trust would be rebuilt. The report said that it “could not see any possible ways and means” to improve the relationship between the Hong Kong government and the public. 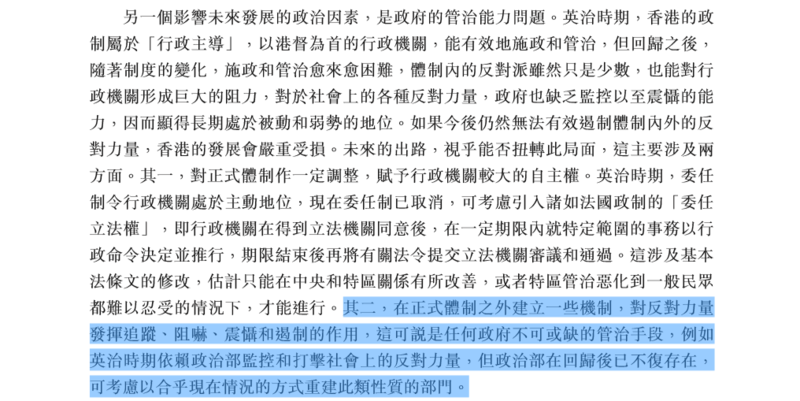 Rebuilding could not be achieved by Hong Kong alone, plus the public would not accept interventions by Beijing. But the report suggested there could be a time when Hongkongers encounter a “wake-up call” incident whereby they realise the relationship should be repaired. The second scenario was that the situation will continue to deteriorate. 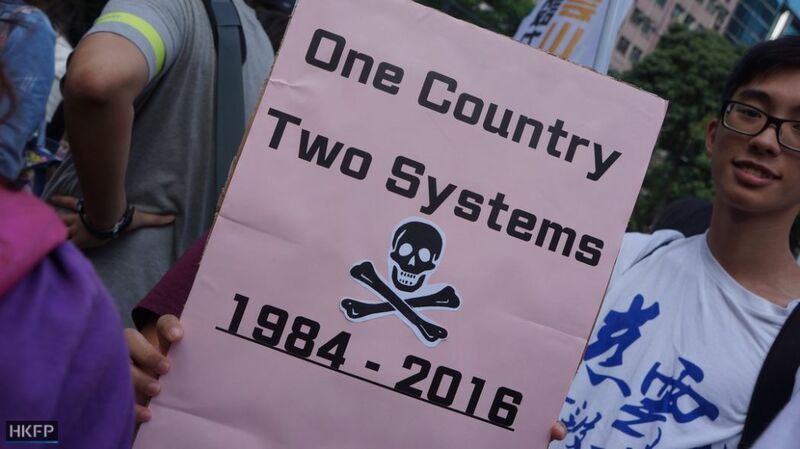 Hong Kong may become ungovernable and the central government will be forced to intervene or take over Hong Kong, ending the “One Country, Two Systems” arrangement which guarantees its autonomy. The final scenario was that the relationship would often be in flux. Although Hong Kong society may become more and more politicised, society will maintain a tradition of rational and pragmatic thinking to avoid turning to extremes. In this scenario, it is said that society would remain stuck in internal political conflicts but would not be out of control. “We expect it is more possible for this scenario to occur,” it said.